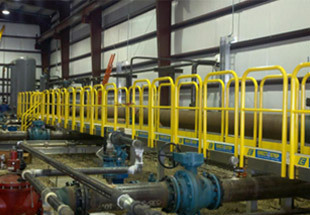 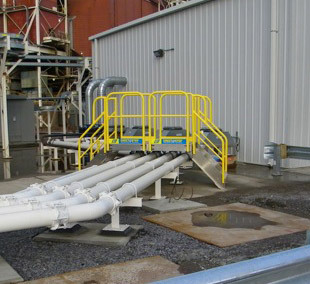 Using a combination of 5 components, our modular design is sturdy, requires no fabrication and quickly bolts together to provide safe access over pipes, dike walls, or other obstructions. 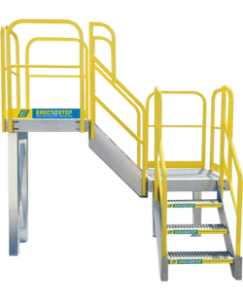 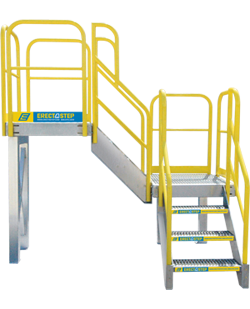 All our OSHA compliant work platforms and stairs are precision manufactured, fully engineered with heavy gage steel and aluminum. 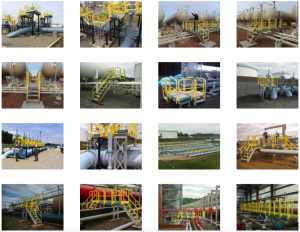 And as always – each component is fully stocked and ready to ship today! 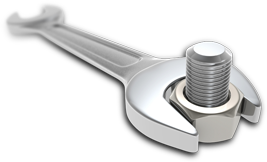 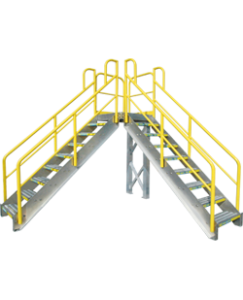 This configuration allows for travel over or around areas similar to assembly lines. 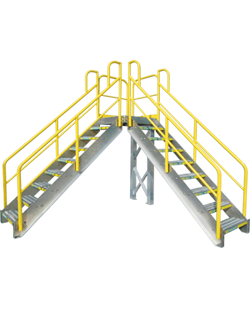 This work platform system allows specific access to parts such as valves or a filters which require repeated access. 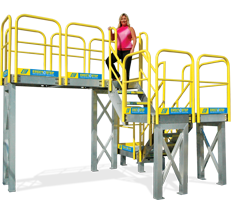 This style of industrial platform could permanently replace wobbly ladder or work stands. 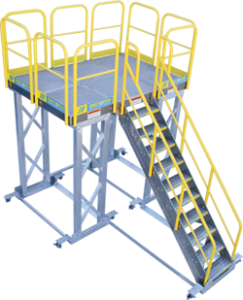 This work platform system might allow access within a confined space to a mezzanine level of a warehouse. 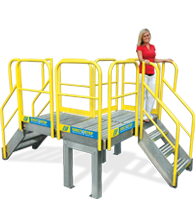 This custom dolly platform provides 56 square feet of work space on an easy to position custom dolly. 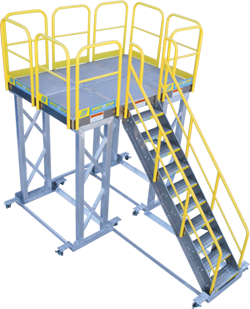 This 90 degree multi directional pyramid crossover system provides conveyor access in restricted spaces. 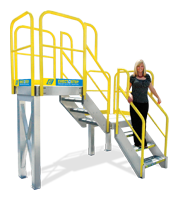 Two tiers of stairs in any direction is no problem for ErectaStep’s modular component system. 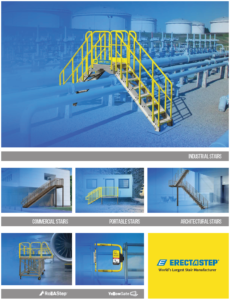 Yes please, send me the ErectaStep catalogue!